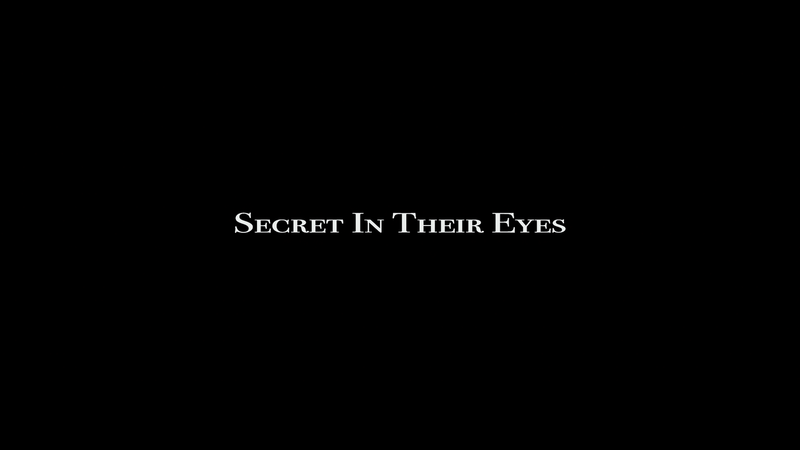 Secret in Their Eyes is based upon a 2009 Argentine film of the same name (well, sans “The”) by Juan José Campanella as well as a 2005 novel from Eduardo Sacheri. Having not seen the original movie nor, clearly, read the book, I can’t make any comparisons but from my minimal research online, this seems to take some cues but diverges in some respects. Taking on its own, this version had plenty going for it but thanks to some choices in editing, the movie never quite takes off and seemed to remain in neutral for the duration. The movie takes a non-linear approach but for the purposes of this review, I’ll attempt to recount a more linear version. In 2002, not too much after the 9/11 attacks, we follow investigators for the FBI Counter-Terrorism Unit, Ray Karsten (CHIWETEL EJIOFOR), and one for the District Attorney’s office, Jess Cobb (JULIA ROBERTS), as well as the newly hired assistant DA Claire Sloane (NICOLE KIDMAN). When Karsten and Cobb, along with other investigators, are called in for a body found inside a dumpster nearby a Mosque that is under surveillance, Karsten is in horror to discover it is Webb’s teenage daughter, Caroline, who was raped and murdered. Throughout Eyes, we are taken back and forth from 2002 to present day 2015 and following these three primary characters seeing how each one has done over the years with Jess obviously aging and still reels from her daughter’s murder and Ray for his part has dedicated himself to finding the killer, the primary suspect being a young man named Marzin (JOE COLE), who was an informant for the FBI inside that very mosque under investigation. But the inquiry was being thwarted, back then, by District Attorney Martin Morales (ALFRED MOLINA) placing higher priority on possible terrorist attacks over the murder. Now with Sloane getting the big chair as DA, Karsten hopes she can re-open the case as he has found a lead to the whereabouts of Marzin who might have changed his name and appearance. The main problem with Secret in Their Eyes and using the non-linear route, under the guidance of a director like Billy Ray (who last worked 8 years ago on Breach), is that it was really hard making an emotional connection with any of these characters. Take for instance when the body is found and there’s a “heart-wrenching” scene as Roberts’s Cobb jumps in the dumpster and cradles her deceased daughter, while I commend Roberts performance, it had little to no impact because we never got to know their relationship and our only glimpse of Caroline were quick shots of her being assaulted and murdered (cut down no doubt to give the film a PG-13 rating as this was apparently shot for an R). Sure, we get a few scenes later in the film but by that point, the emotions fail to resonate. And it is unfortunate. I think if the story was told in a conventional manner as a plain and simple murder mystery, taking out the political filler, this might’ve made for a solid crime-thriller. The only thing I can hang my hat on, and the reason I’m giving it the so-so 3/5 rating, is for the cast, primarily Chiwetel Ejiofor who has so much charisma that he overcomes the shortcomings with the script and especially the editing. Nicole Kidman, and her limited role, and Julia Roberts both do fine jobs as well but as with Ejiofor, there’s only so much an actor can do, even the great ones. In the end, Secret in Their Eyes is a perfectly serviceable, if not vastly flawed, crime-thriller, and might be worth a rental. However, from my reading it’s probably better to see the Argentine original which has received high praise. Adapting the Story for Today’s World (1:59; HD) is a short promotional featurette looking at the plot for this American version. Julia Roberts Discusses Her Most Challenging Role (3:23; HD) – The star talks about her approach to her character. Audio Commentary – Screenwriter/Director Billy Ray and Producer Mark Johnson sit down and dissect the film from the casting, locations and other tid-bits. 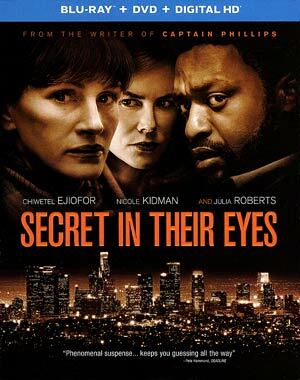 Secret in Their Eyes is presented in its original 2.40 widescreen aspect ratio and a 1080p high-definition transfer (MPEG-4 AVC codec) which looks solid throughout. Colors are a bit dampened in keeping with the dark murder-drama plot but skin tones at least look natural. Detail is relatively sharp and the transfer as a whole is clean, free of artifacts, aliasing and other flaws. The movie comes with a 5.1 channel DTS-HD Master Audio track which is more than serviceable. The bulk of the film is dialogue-driven and mood-creators and outside of one chase scene, it’s a fairly low-key track. Still, dialogue levels do sound crisp and clear while Emilio Kauderer’s (composer of the original film) score does provide the film with some modest, if not limited, depth. 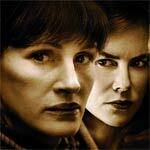 Overall, Secret in Their Eyes is a decent if not horribly disappointing movie considering the amazing cast. 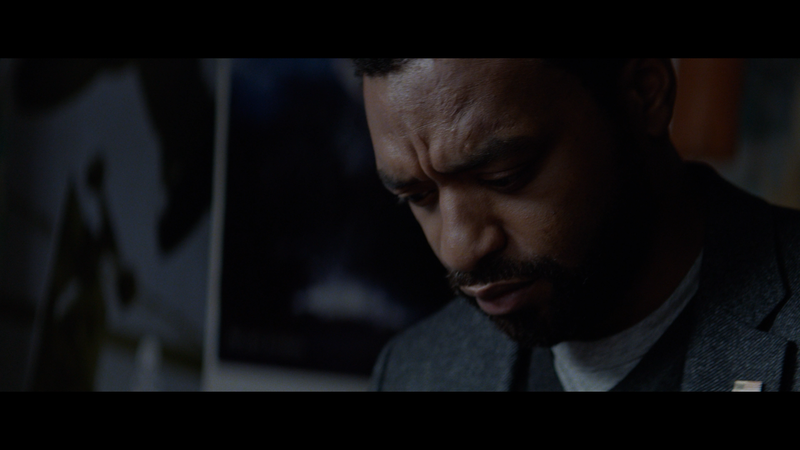 Although the three main actors turn in perfectly fine performances, with Chiwetel Ejiofor being the best of the trio exuding enough charm to overcome story and editing issues, this is not a film that has much if any replay value and is at best a Saturday night rental, nothing more. The Blu-ray released through Universal offers good video and audio transfers while the bonus features are woefully underwhelming.